Category Archives: What is Evaluation? Evaluation, Video, What is Evaluation? Evaluation is measuring progress towards program goals. In future videos, I will show how we all engage in evaluation daily and how beginning to evaluate your nonprofit’s programs is not nearly as scary as you might think! Are you a World Saver? Don’t worry. I mean that in the nicest possible way. To me, a World Saver is bright, energetic and convinced that some things aren’t right in the world, so they’re committed to doing something about it. If that’s you, you probably started a nonprofit, or work in the sector. Or maybe you’re a social entrepreneur, a committed volunteer, or a business person concerned about your social impact as well as your financial bottom line. You’ve got a vision for how the future can be better than the present. But you’ve got a problem. You started this work to try and make a difference, but somewhere along the way you’ve gotten bogged down in details. You have to make budgets, hire staff, screen volunteers, and of course raise funds. And now people are telling you that you have to do program evaluation. What does that even mean? You are exactly the type of person I want to work with. Who am I? 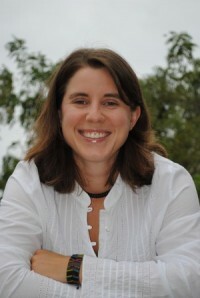 My name is Maria Gajewski and I Help World Savers. I own Changing River Consulting and for over 5 years now I’ve worked with nonprofits, charitable foundations, government offices, citizen groups, and concerned business people to help them make their good work even better. I can help you ask the right questions about your programs or organization, evaluate your results, and make the most effective improvements with the most efficient use of your resources. Nothing is more fun to me than seeing an organization getting better results, more funding, and more community involvement because of our work together. 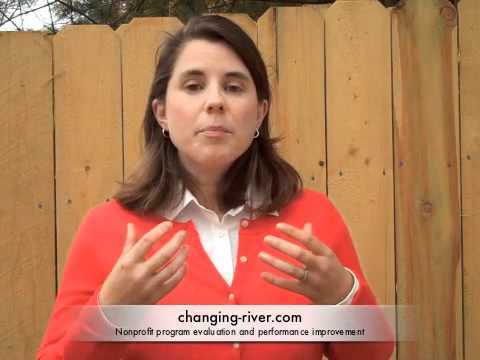 I’m working to make ChangingRiver.com the best website for practical information about ways to evaluate programs, measure results, and make continuous improvement a realistic part of your busy workday. If there’s every any way I can help you, contact me. Thanks for visiting and let’s go out and save the world today.